Coalition at 1 week old - luster, luster, luster! King coal was bred and owned by Jack & Jill Reinhart of Allegheny Alpacas. 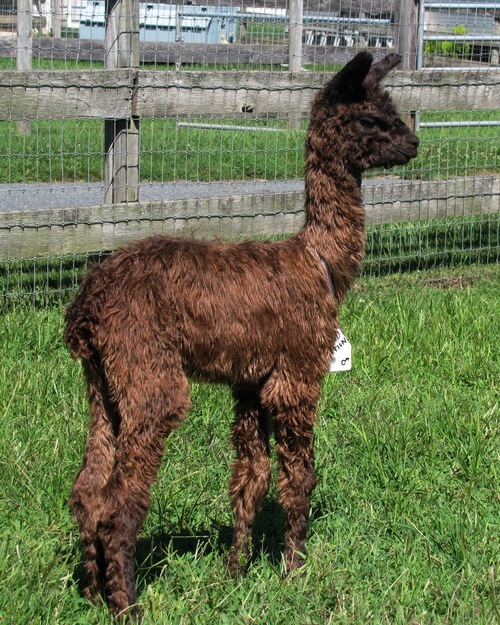 Coalition was our last cria born in 2016, and we are very pleased with his high quality conformation and fleece. 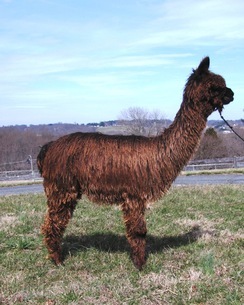 He is a beautiful dark brown with hints of a taupey grey coloring, and his color is uniform across his entire body. He has great coverage down his legs and on his face, giving him that coveted "Wookie" look. 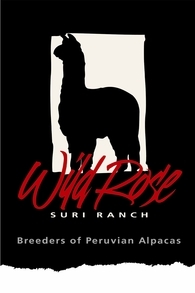 He is easy going and easy to handle, and ready for the show ring. Coalition's 4/29/17 histogram was AFD 20.15, SD 5.02, CV 24.89, CF 96.32. Coalition’s dam is our own WRSR Accoyo Solitaire, a full Accoyo bloodline fawn by our late DDF Accoyo Maurizio. Solitaire continues to keep her finenss at age 6 of 23-24 micron, and has a uniform lock across her body. 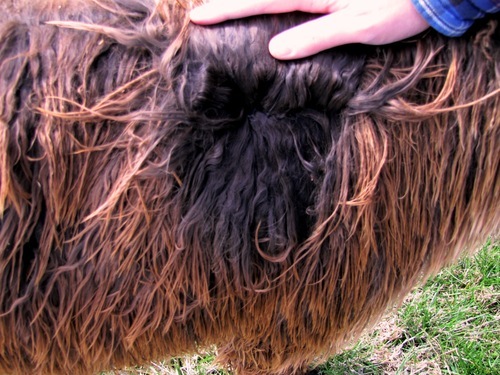 She sheared over 7 lb of fleece on her 2015 and 2016 shearings (4th and 5th shearing) with 3.5 lb skirted blankets. Note that she was pregnant during this time, but still produced the fiber fineness and weight. King Coal is a well known on the East Coast as a producer of fine, densely fleeced and high luster offspring, many of them black. 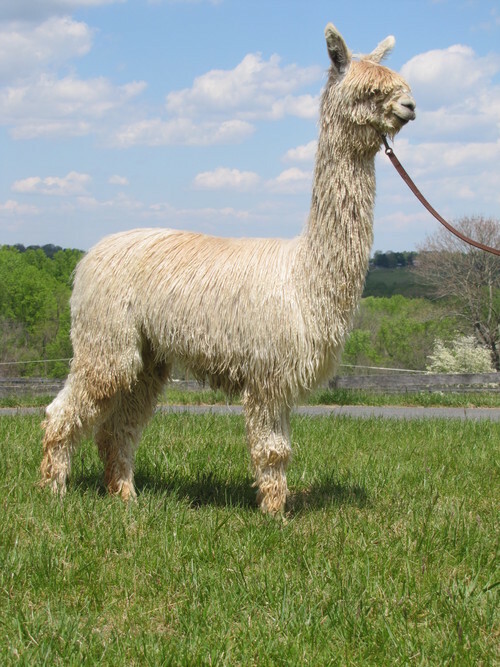 He was shown when he was younger and was awarded championships and Herdsire of the Year at the MAPACA Jubilee. King Coal has a compact body size with heavy bone and good proportions. He is one of our favorite black suris outside our farm for breeding to our girls. Here is a potential herd sire that should place in the top 3 at the big shows, and Coalition is ready to start his show career. Whether you are looking for a future herd sire or a potential winner in the show ring, Coalition is your boy and he comes with a full breeding guarantee. 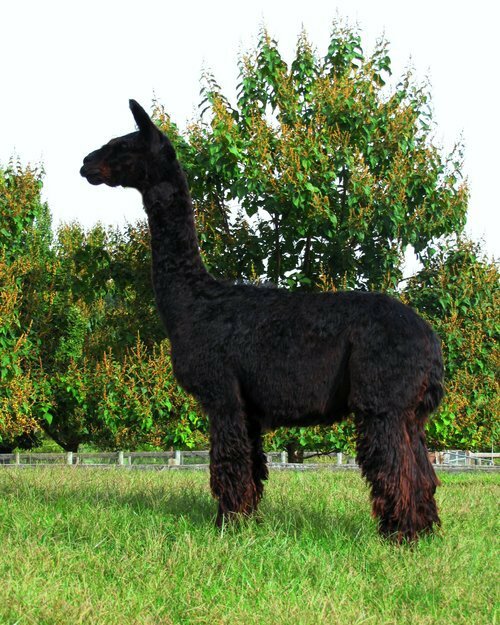 Contact Patti for more information and to schedule a visit or see him at the 2017 Buckeye Alpaca Show in Tallmadge, OH or the 2017 MAPACA Jubilee Show in Harrisburg, PA.